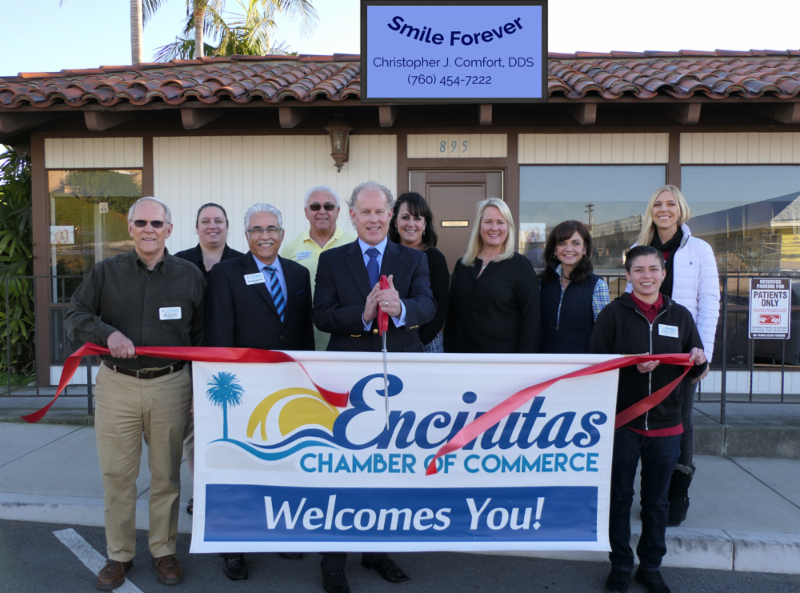 Dr. Christopher Comfort and his wife, Stacy Comfort, are excited to announce the opening of their new Dental Practice location in Encinitas. They are a husband and wife dental team where as Dr. Comfort is the Dentist and Stacy is a Registered Dental Hygienist and performs the Preventative care in the office. Dr. Comfort is an Accredited Member of the American Academy of Cosmetic Dentistry (AACD), which represents successful completion of the most rigorous peer-reviewed accreditation process in the field of Cosmetic Dentistry which few general dentists have accomplished. Stacy has been a Hygienist in North County San Diego for the last 30 years and is highly regarded as being a gentle, but thorough clinician by her loyal patients and peers. They offer complete dental care from rejuvenation of your smile to excellence in Family Dentistry. Please contact their office for an appointment, they look forward to welcoming you to their practice. $129 Special for New Patients who do not have Insurance Coverage which includes: Teeth Cleaning (in the absence of any Gum Disease), Oral Cancer Screening, all necessary X-rays and a thorough Comprehensive Exam by Dr. Comfort.